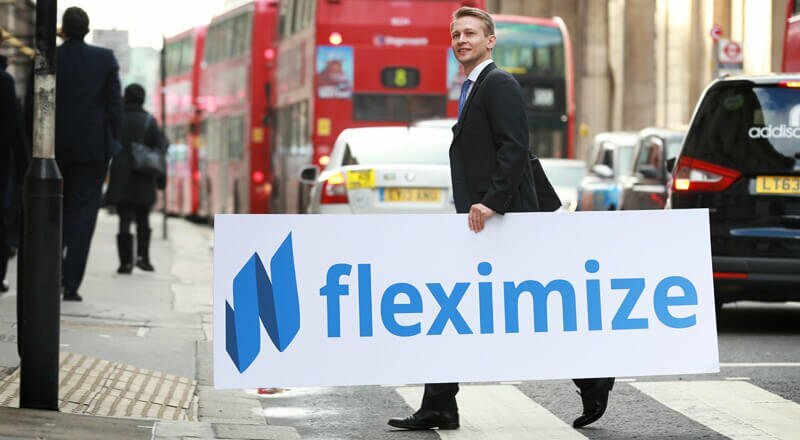 "The funding is actually saving us £5,000 per month"
We created Fleximize because we think it's wrong that great businesses are held back by a lack of funding. Having worked with small businesses, we know that there is a better way to predict a company's growth and success than a computer-says-no algorithm. We believe that by taking some time to listen and understand what businesses are about, we can provide financing tailored to suit all types of businesses, and we will choose to lend to many of them. We're tech-focused but relationship-driven. This means a lightning-fast process from initial application to receiving your funds, plus a dedicated point of contact for you every step of the way. Discover choice. The smart way to borrow. We're innovating UK finance by introducing the UK's first revenue-based finance product. You will receive an immediate capital lift in exchange for a small portion of future revenue at a fixed cost. No equity, just a percentage of your takings until your loan is repaid, allowing your business to grow organically. At Fleximize, we strive to provide best-in-class service, flexibility and choice across all of our services. All of our business loan options offer truly flexible features that will continue to support business growth for as long as your business requires. We offer top ups and repayment holidays, and there's absolutely no penalty for early repayment. In fact, if you repay early you'll only ever pay interest for the time you had the loan. Every day we empower small businesses to grow by providing the finance they need to reach their potential. Start growing your business today with Fleximize. Grant was astonished by the speed and ease of obtaining funding from Fleximize compared to conventional lenders. After being let down by her bank, Caroline was impressed by the efficient and professional service offered by Fleximize. Fleximize provided the funding needed for Polly to turn her successful online store into a stunning high-street boutique. Follow our simple 3-step process for quick turnaround funding. To give you an idea of the APR on a Fleximize loan of £25,000 or below, here’s a representative example: 42.2% APR representative, based on a fixed annual rate of interest of 35.8% and an assumed loan amount of £12,500 over 15 months. This equates to monthly repayments of £1,045.63 and a total repayable of £15,684.45.